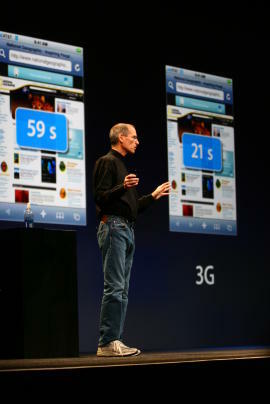 Apple CEO Steve Jobs unveiled, just as expected, the iPhone 3G at WWDC (Worldwide Developers Conference) this Monday. 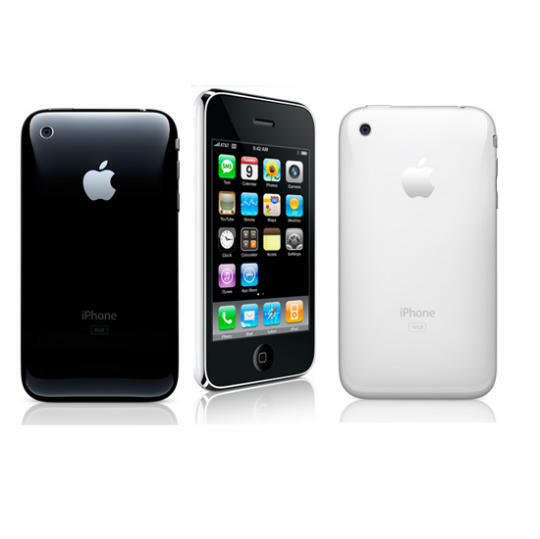 The new thinner Apple 3G iPhone has a black plastic back and metal buttons on the side, and comes in white. Especially, the flush-headphone jack, when be shown, gets wild applause at the conference. Compared with the old version, the Apple 3G iPhone is much faster to download the same Web page. The same email attach downloads in 5 seconds on the 3G mobile network, and it takes 18s on EDGE. On the 3G iPhone news conference, Jobs said the 3G mobile speeds are close to Wi-Fi. The Apple 3G iPhone supplies better battery life, the 300 hours of standby time, about 8 to 10 hours of 2G talk time, or 5 hours of talk time on the 3G iPhone. You can continuously browse 5-6 hours; watch videos 7 hours, or audio 24 hours. And Jobs confirms on the 3G iPhone news conference that the iPhone 2.0 will have GPS. In addition, the apps supplied for Apple 3G iPhone are more attractive-added iWork document support including keynote, MS Office documents, content search, accessories saving from email, parental controls, etc. As we all know, the first Apple iPhone was $599, and now the price is $399. When the Apple 3G iPhone comes out on July 11, all will sell for $199 for 8GB of storage, and 16GB iPhone will sell for $299. At the 3G iPhone news conference, Jobs claimed they have sold 6 million iPhones to date. According to the faster speed, advanced functions and lower price, it will be not far away from Apple's goal of shipping 10 million phones in 2008. And it is obvious that Apple doesn't only want to be consumer's cell phone, but everyone' s cell phone. By virtue of iPhone1.0, Apple shares 19% in the Smartphone market in USA, while RIM occupies 44%. Will Apple reign supreme with the release of iPhone 3G mobile? Let's just wait and see.